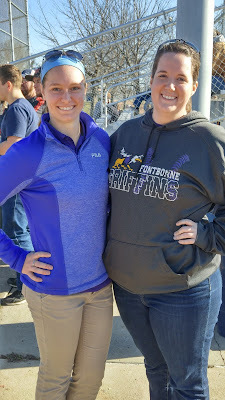 Fontbonne University has provided us with a great experience so far! 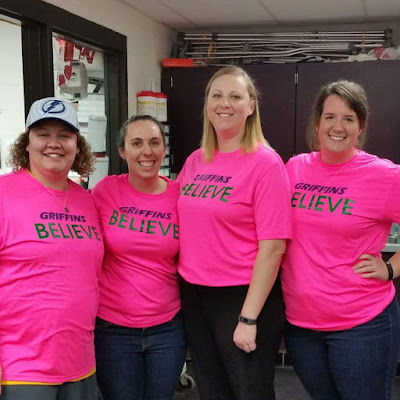 Our four preceptors; Andrea Lindquist ATC, Ann Schmerbauch ATC (SLU Alum), Jaci Clauson ATC and Brittany Koops ATC (SLU Alum); provide us with a deeper learning base when it comes to evaluations and rehabilitation because each AT has a different way of doing things. This is helpful because it keeps us away from getting into a standard routine. The great thing about this site is that our preceptors are on a constant rotation of all the sports. This is really beneficial because the athletes are familiar with all the ATs. When they come in with questions or for rehab they can talk to any of the ATs and everyone is on the same page. We get experience with a wide variety of sports at the NCAA Division III collegiate level. We have worked with soccer, basketball, cross country, track & field, baseball, softball, golf, tennis, and volleyball. We have spent a lot of time on developing rehabilitation protocols for athletes and how to guide them through the rehabilitation process. We also have learned a few new taping techniques to help with shin splints, Achilles tendon pathology, and even TFCC just to name a few. 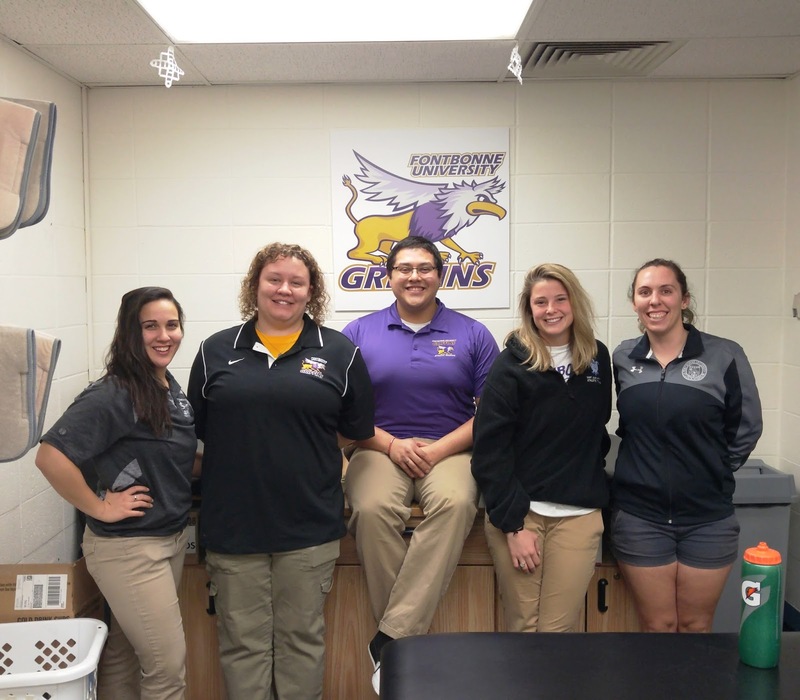 The athletes and AT staff at Fontbonne University are great to work with! Every day we come in, we leave with new knowledge pertaining to the athletic training profession. Fontbonne provides unique hands on experience and opportunities giving us a greater experience working from on court evaluations to post-surgical rehabilitation. What makes Fontbonne University one of the best experiences we’ve had is the care and positive attitudes that all our preceptors bring each day. The AT room isn’t just a place where we treat and rehab athletes, it’s a place of comfort and safety. 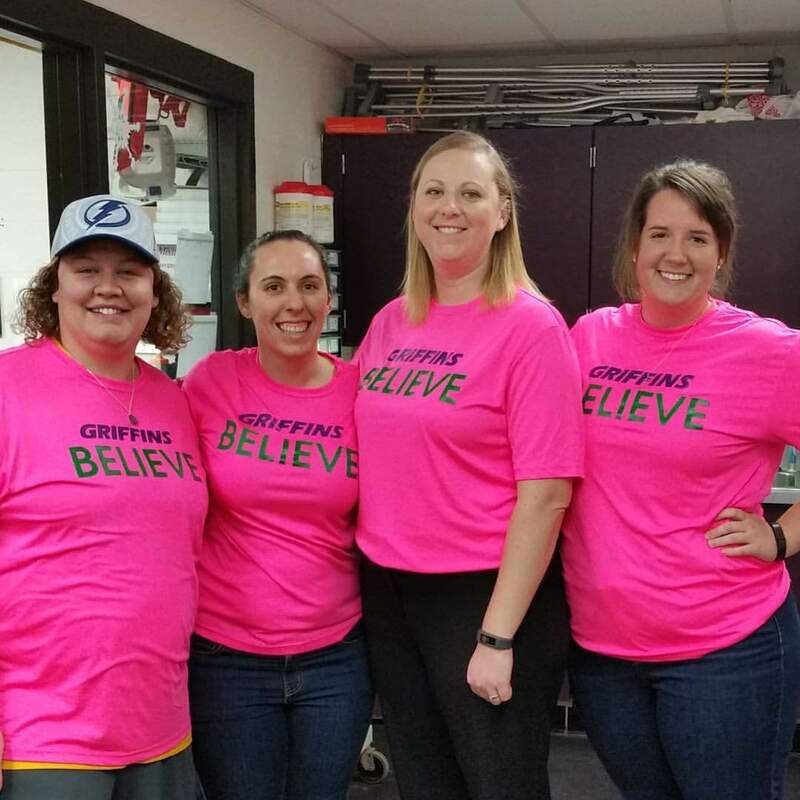 The care and love that all four preceptors have for everyone makes a safe, fun, and stress relieving environment. Because of this we thank you all for giving us an experience of a lifetime.